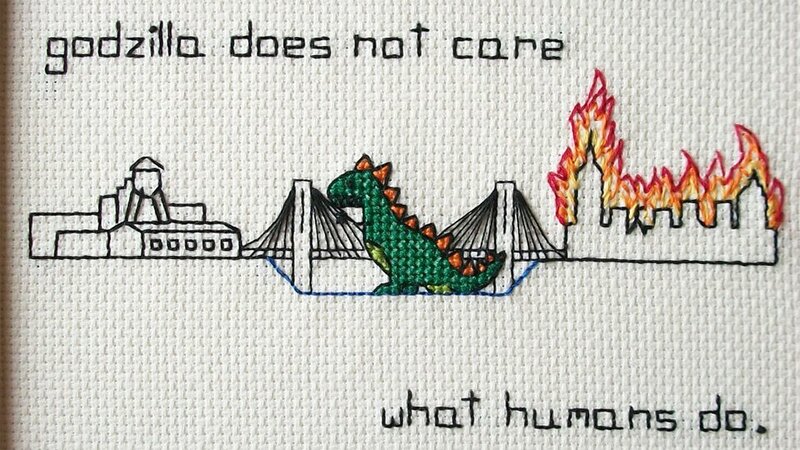 Etsy artist Alicia Watkins creates these supercute cross-stitch scenes of Gozilla rampaging and burning through a city. The version shown his destruction of New York City. However, Alicia will customize a cross-stitch for the city of your choosing, as long as it’s got a semi-recognizable skyline and you send her a photo of the skyline or it’s something she can Google. According to Alicia, Godzilla still will not care! Seems to us to the perfect “house warming” gift. See what we did there?